Taking a minute or two out of my first full writing weekend in a month and a half (yeesh) to let folks know about a cool now board game I picked up this week. 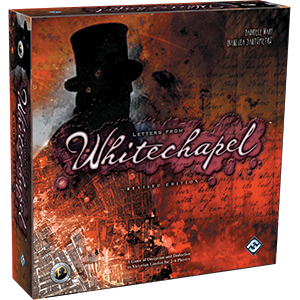 The game is Letters From Whitechapel, which is based on the Jack the Ripper murders. One player controls Jack as he hunts down and kills “the Wretched” (a gentle term for prostitutes) over the course of five nights, while one to five more players assume the role of investigators tasked with capturing Jack. If you’re not bothered by the admittedly morbid source material, I’d recommend this game — especially if you’re a fan of Fury of Dracula, which uses a similar game mechanic. 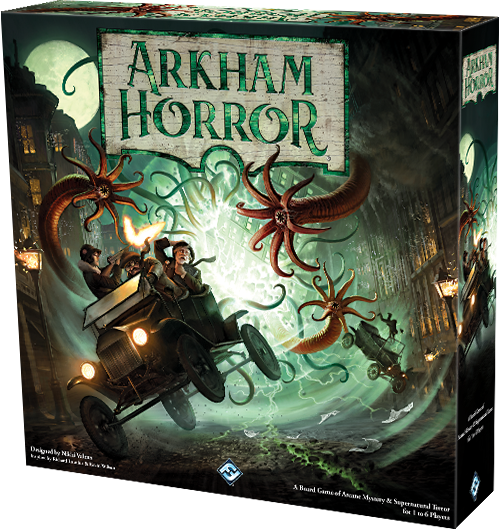 The player controlling Jack moves around the board surreptitiously, while the investigator players have to find clues the reveal his escape path so they can determine where his hidden lair is. Jack wins by killing all five Wretched and returning successfully to his hideout. The investigators win by arresting Jack as he tries to evade capture. Along the way, Jack can throw investigators off with false clues and redirect them as they patrol Whitechapel with taunting letters — which are based on the actual letters Jack sent police during his murder spree. 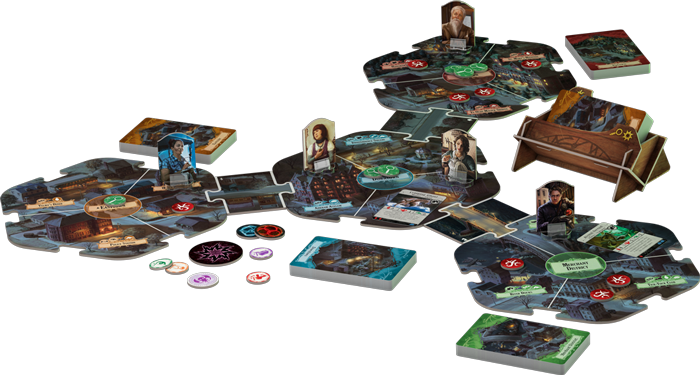 Several elements of the game likewise draw from history; the game board is based on a map of Whitechapel at the time, certain key spots on the board correlate to the locations of the actual murders, and the investigators play the actual police officers and detectives who worked on the case. Fun and educational!